Asian Street Food hit the streets (well, one street!) of Cork City last Friday night when Aroi opened its doors in Carey’s Lane. 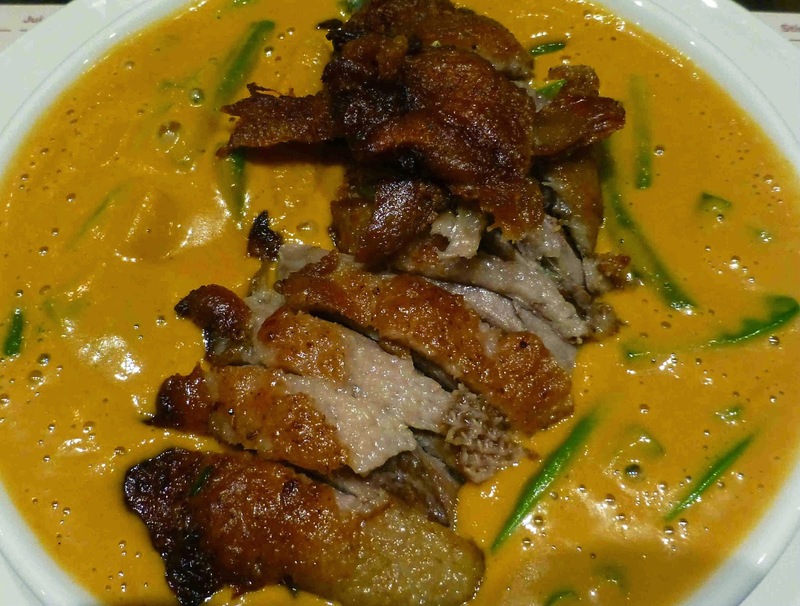 Aroi means delicious or tasty and has had a successful six months in Limerick and now Chef Eddie Ong Chok Fong has brought the Asian experience to the heart of Cork. If you like dishes like Pad Thai Noodles, Red Duck Curry, Som Tam Salad and Pandan Chicken, all served, street food style and perfect for sharing, then make a date at 6-7 Carey’s Lane (021) 427 2388. Sounds good and tastes pretty good too as we found out on opening night when we called to sample. 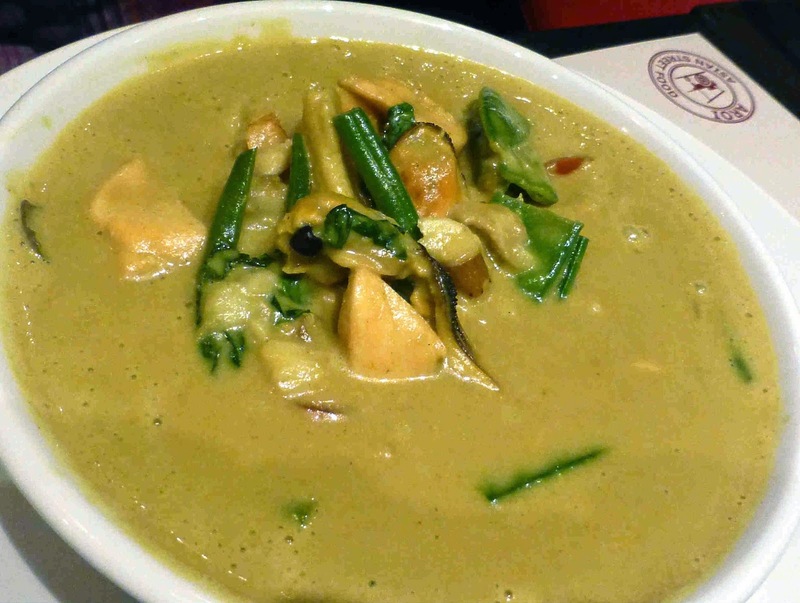 I absolutely enjoyed my Red Duck Curry (with peas, aubergines, baby corn, long beans, lime leaves and cherry tomatoes). Where else would you get it? The duck perfectly cooked and those lovely crisp vegetables. No starters here. Just pick your mains. All curries and stir-fries are served with rice and mains cost a tenner, aside from a couple of rice dishes that come in at nine euro. If you want to add to the mains, then there are a bunch of sides dishes, most of them costing a fiver. 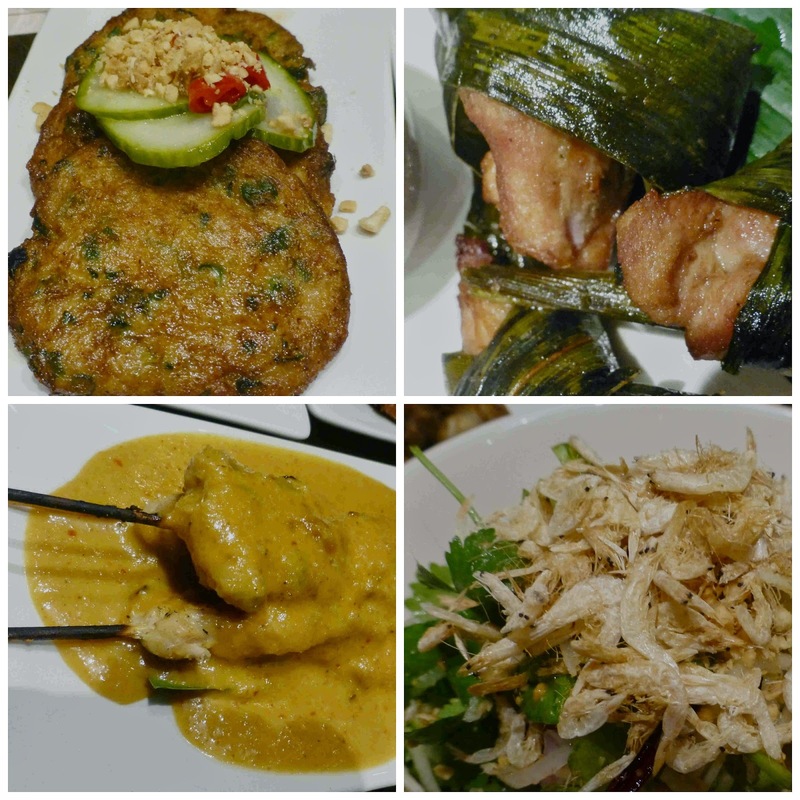 We loved the Pandan Chicken, the Satay Gai (chicken skewer with peanut sauce), and the Thai calamari. But there are many more, including Chicken Wings and a Crispy Lotus Salad and each with its own sauce. Lots of choices too when it comes to mains: Noodle Soups, Wok Noodle dishes, Salads, Rice Dishes, Grilled Dishes. Check them all out on the website here. How about a drink? No shortage. We enjoyed Singha and Tiger beer and they also have Chang. Three choices each of red and white wine, most at a fiver a glass. Plenty of soft drinks also, plus teas and coffees. “Drop by some time,” the smiling chef said as we made our exit. We will.